With all the bags out there on the market, I am forever amazed at how hard it is to find the perfect everyday bag. 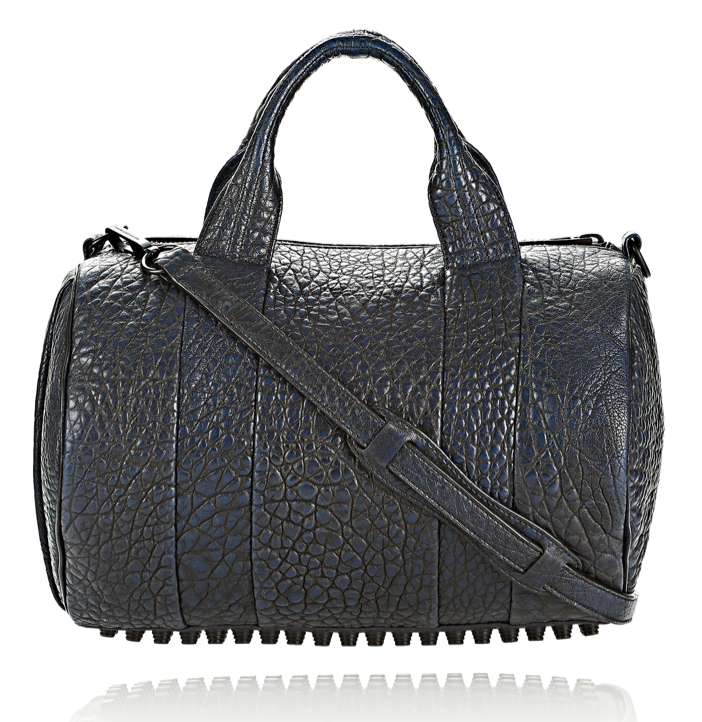 I should rephrase that statement by saying, the perfect everyday bag that doesn’t cost $3000. Add to that the criteria that is has to be navy and then that it has to be the right type of navy, and I realised I’d set myself quite the conquest. As if by some miracle and some serious patience on my behalf, Alexander Wang has just released his famed Rocco bag in a matte black studded, deliciously grainy, perfectly navy version. Still sufficiently over budget – but after selling most of my wardrobe on eBay I don’t feel so bad – this bag will hopefully see me through each day with a great deal of contentment that I found my bag at last. What is your favourite bag? Oooh I want that! Love it.